Pittsburgh Blues/Soul Legend Billy Price & the Lost Minds will appear March 16. The bears may have been hibernating, but the volunteers and board members at Jozart Center for the Arts have been busier than bees prepping a full slate of events for late Winter and early Spring of this year. On Saturday, March 10, area youth and college students are invited to dance the evening away from 6-10 p.m. during “The Bass is Upstairs”, an alcohol free, all ages event sponsored by the Center’s Youth Committee and featuring area DJs. Tickets are $5. Kick off your St. Patrick’s Day holiday early on Friday, March 16 with Pittsburgh blues/soul legend Billy Price and the Lost Minds. 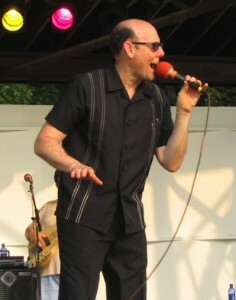 According to his web site, “Billy Price, east coast blue-eyed soul man, has been entertaining audiences for the past three decades. In his hometown of Pittsburgh, Pa., he is an institution. Price’s popularity isn’t hard to explain. As Geoffrey Himes of the Washington Post has written, ‘Unlike so many blues revivalists, Price is not an imitation of older, better singers–he’s the real thing.’” In addition to a fantastic evening of music, the audience will be treated to complimentary green beer and other Irish themed goodies. Tickets goes on sale March 1st at $10 per person. This is a BYOB (or just enjoy ours) event for over 21 only. To reserve your seats, call (724) 938-9730 or email carla@jozart.com. Many more details on the Center’s web site at www.jozart.com. Bram Stoker Award Nominated Horror Author Lawrence C. Connolly will appear April 7. On Saturday, April 7, Bram Stoker Award nominated horror novelist/author Lawrence C. Connolly will headline an interactive evening featuring dark prose and poetry readings. He’ll be joined by horror writer Sheldon Higdon and dark poet Stephanie Wytovich. 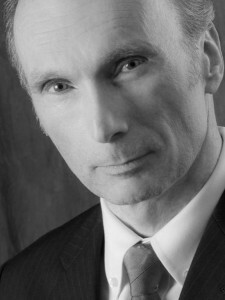 Lawrence C. Connolly’s books include the novels Veins (2008) and Vipers (2010), which together form the first two books of the Veins Cycle. Vortex, the third book in the series, is due in 2012. His collections, which include Visions (2009), This Way to Egress (2010), and Voices (2011), collect all of his stories from Amazing Stories, Cemetery Dance, The Magazine of Fantasy & Science Fiction, Twilight Zone, and Year’s Best Horror. His new collection Voices, featuring an all-new novella “Shrines” and artwork by World Fantasy Nominee Jason Zerillo, was released in 2011. The schedule for the evening is as follows: At 5:30, doors open for audience/guests; at 6 Stephanie Wytovich will read, from 6:30-7, Sheldon Higdon will read, at 7, Lawrence Connolly will take the stage for a dramatic reading/presentation, at 8 there will be a Q & A sessions with all speakers, and finally, at 8:30, a closing reception will be held. This event is FREE to the public. In mid April, on Saturday, April 14, the second Annual Youth Talent Revue will be held featuring the pre-professional talents of singers Cat Zisk and Sully Dunn as well as dancer Allen Free, not to mention more youth acts to be announced. Slots are still being filled for this evening featuring area youth talent. If you are someone you know is interested in performing music or dance, reading poetry or exhibiting original artwork at this event, please contact Carla at carla@jozart.com or via phone at (724) 330-5141. Doors open at 6:30 with the show starting at 7 pm. This is an all ages event. Coffee, soda, water and light refreshments will be available for purchase. Tickets are $5. Finally, don’t forget to check out the Center during one of our regularly scheduled events like our weekly Open Mic nights every Wednesday night at 8 pm or our bi-monthly Writers’ Group held at 7 pm on the 2nd and 4th Wednesdays of the month. For more information on any of the Center’s events or programs, please visit their web site (www.jozart.com), email them at carla@jozart.com or call (724) 938-9730. This entry was posted in Announcements, Blogging, Events, Open Mic Night by Carla. Bookmark the permalink.